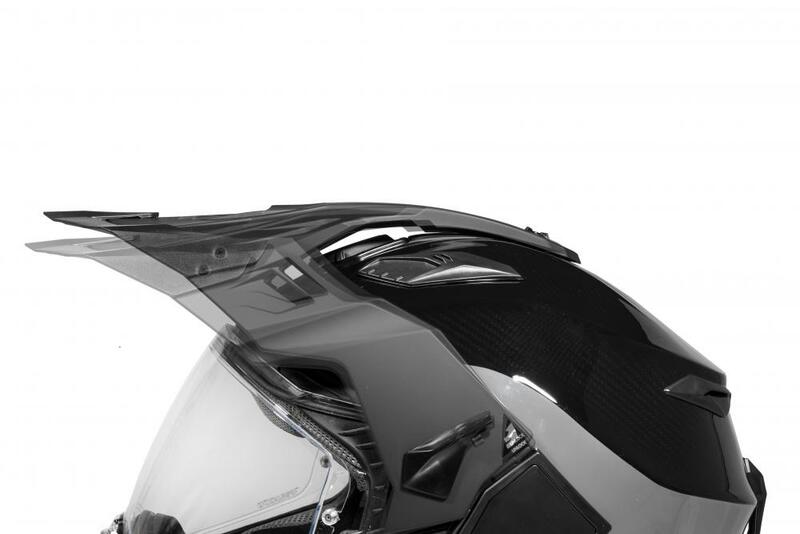 The Aventuro Carbon set new standards for light-weight comfort, cooling airflow and a fighter-jet shaped peak that cleanly cuts through the wind. 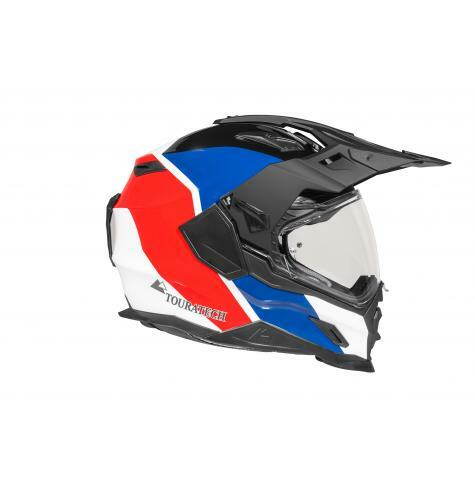 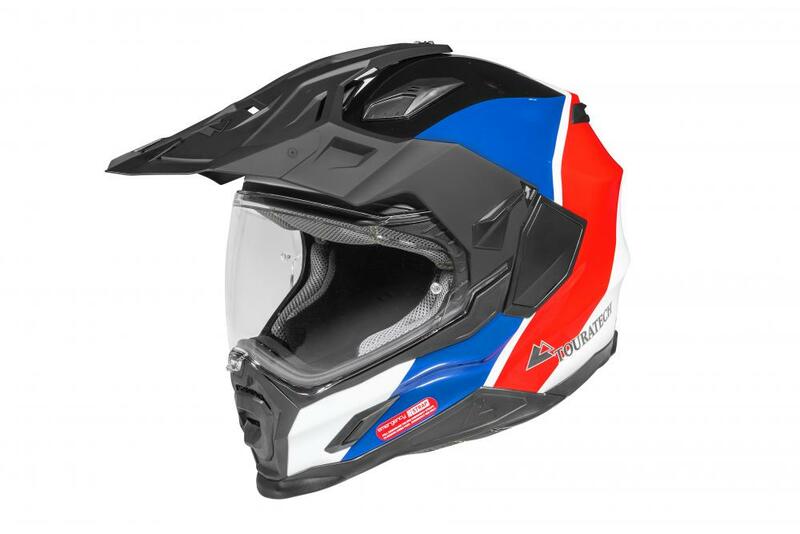 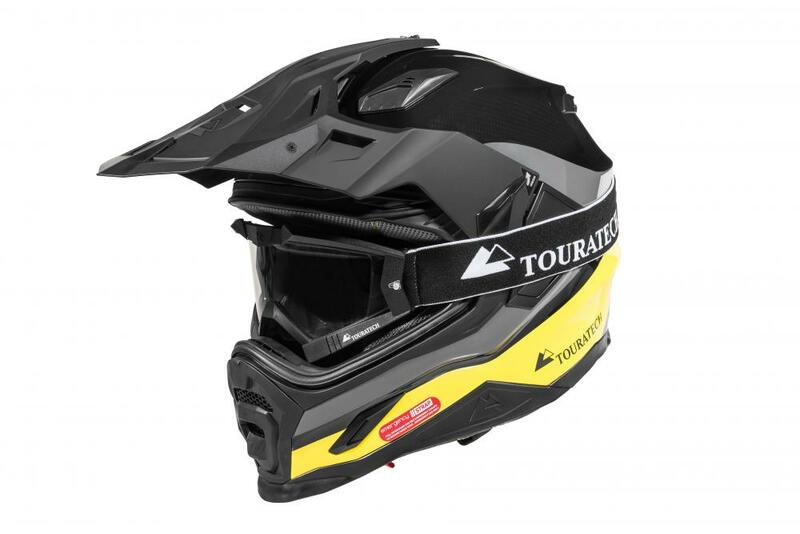 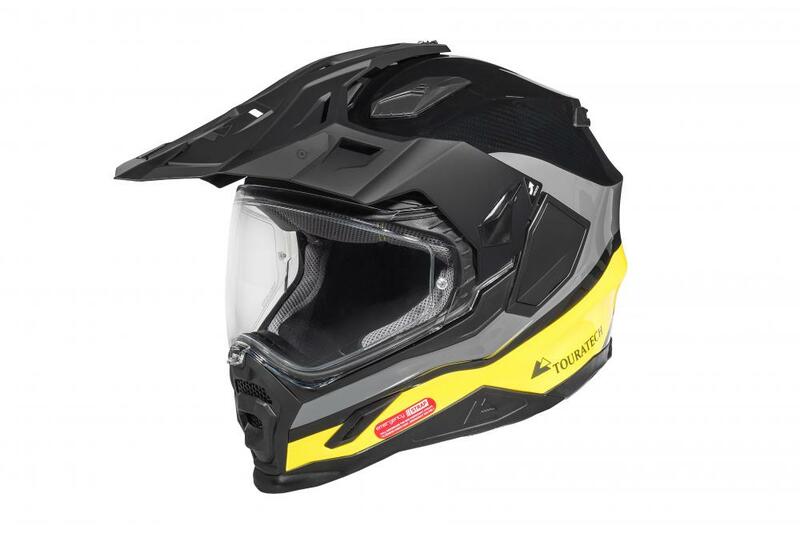 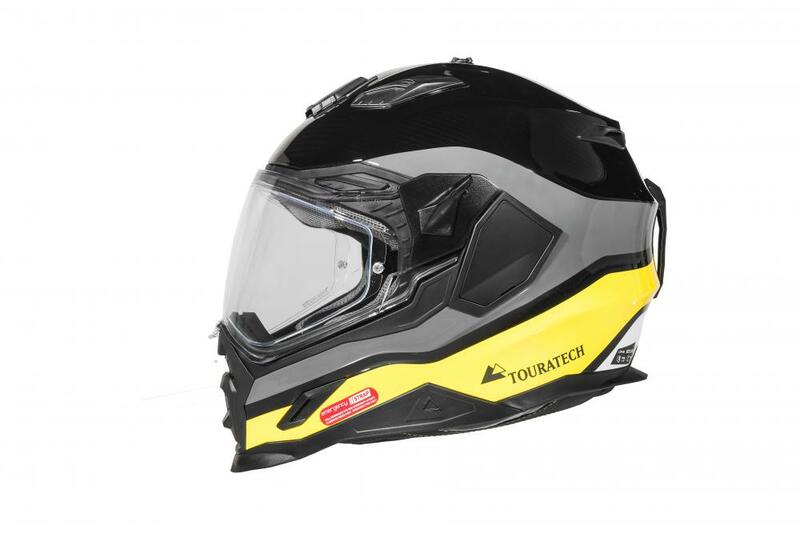 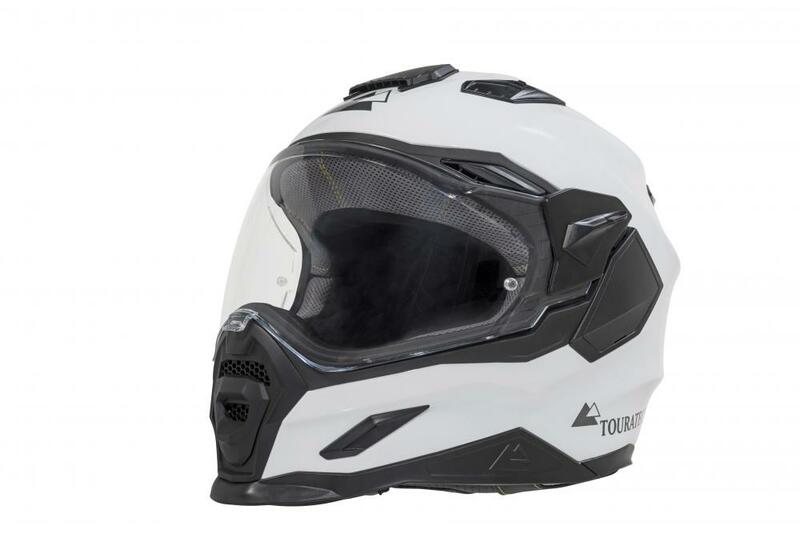 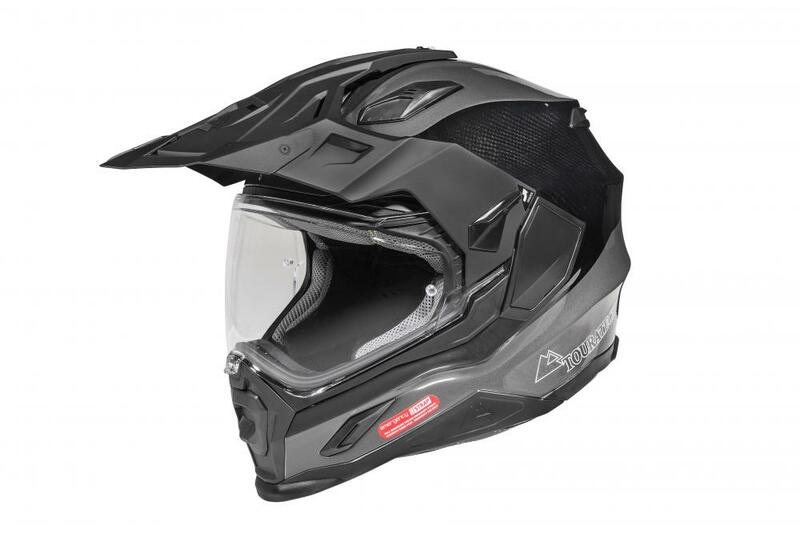 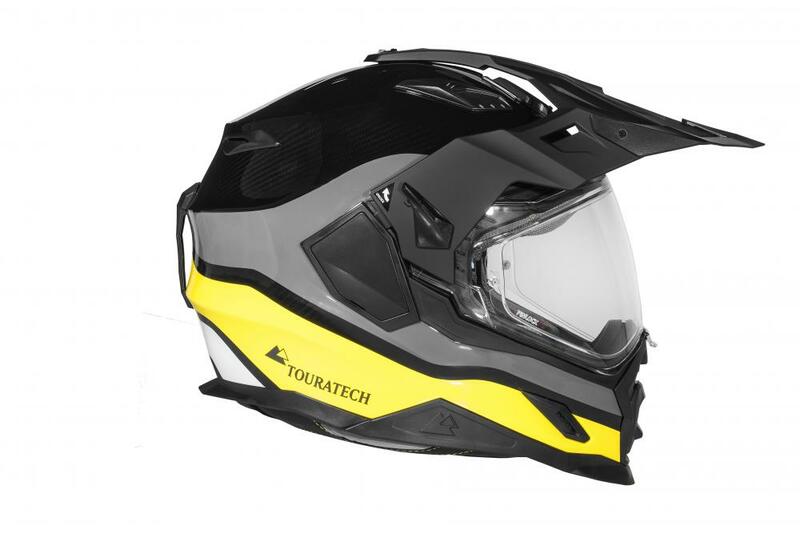 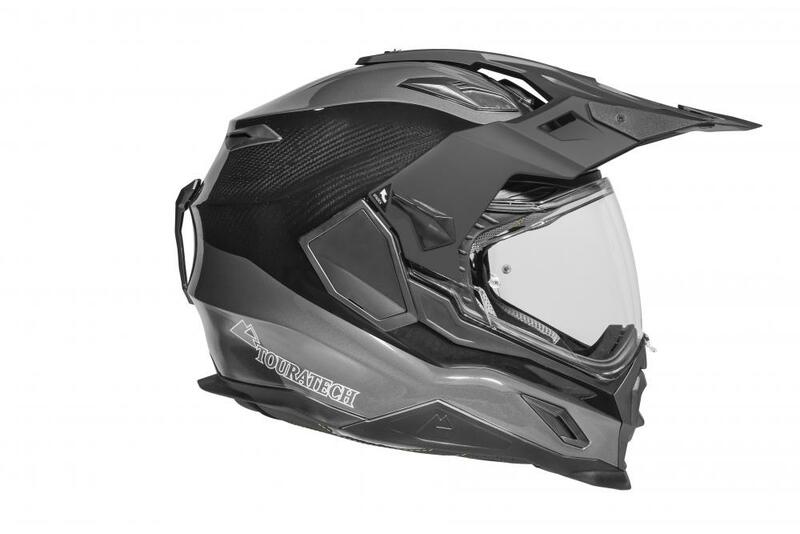 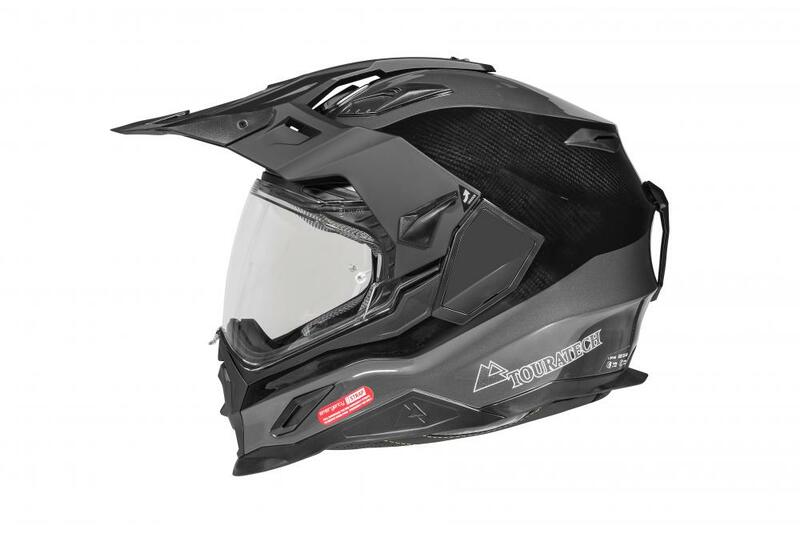 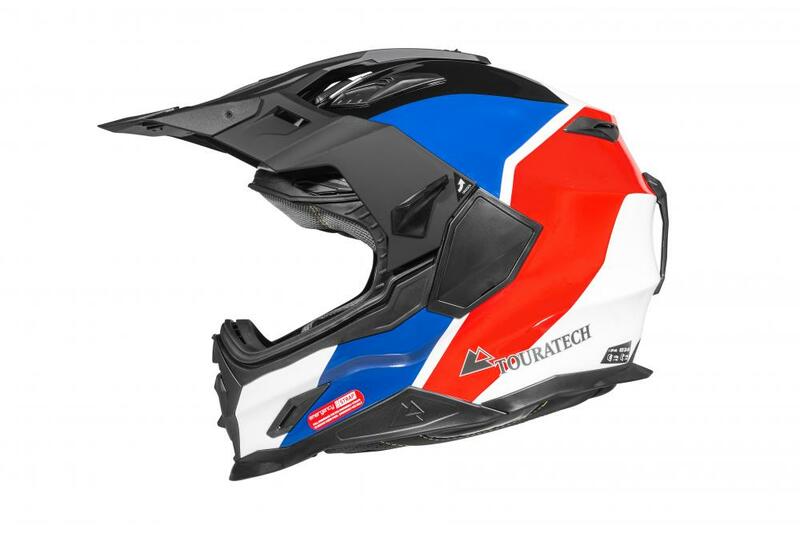 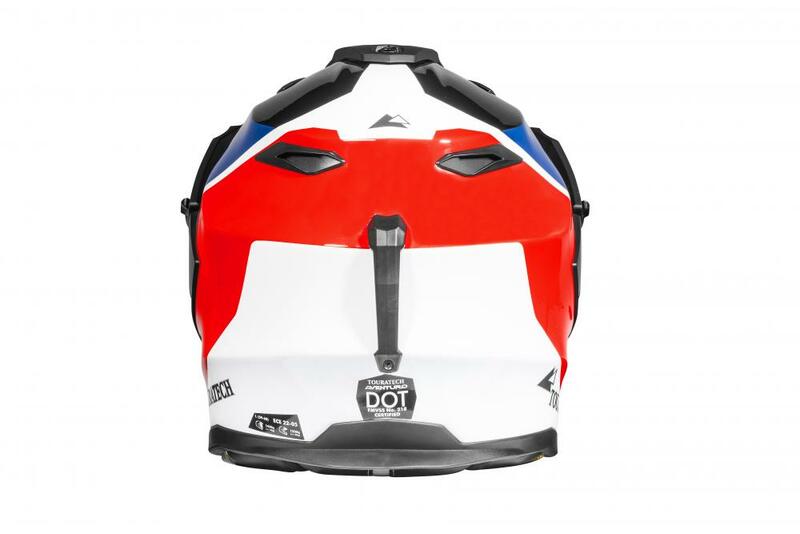 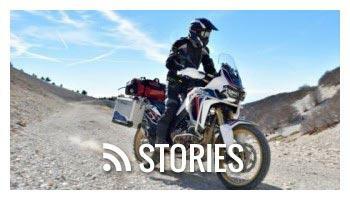 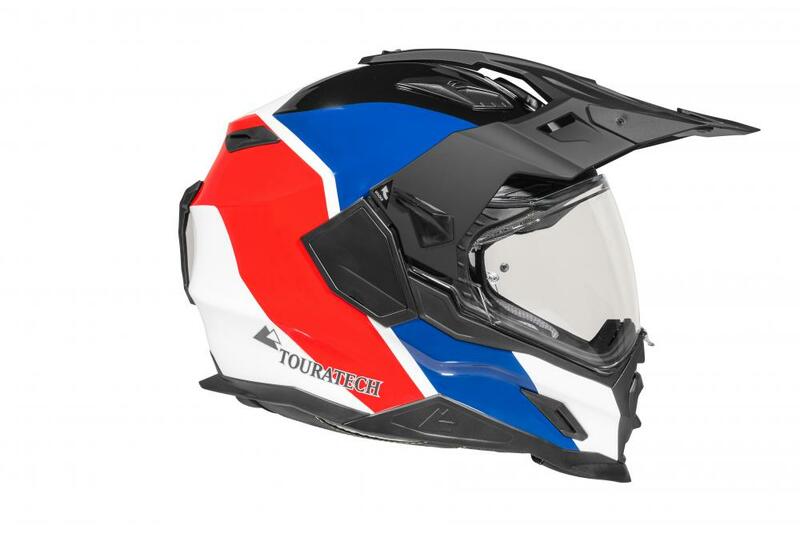 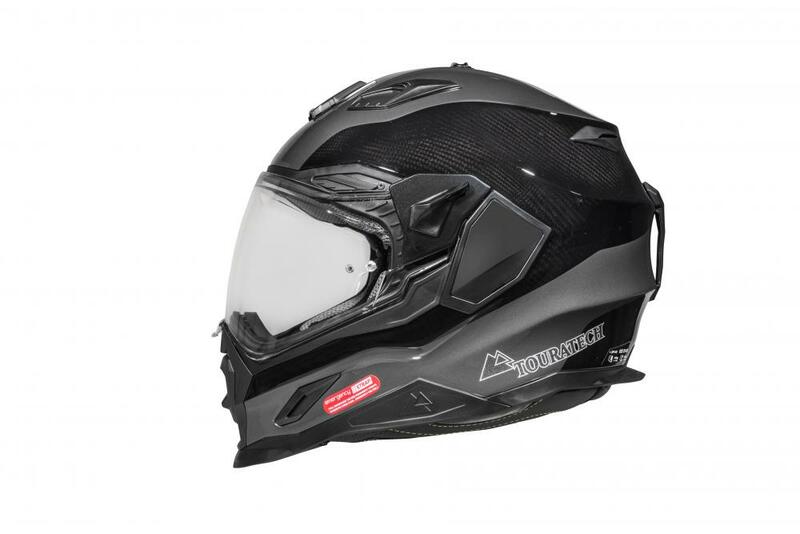 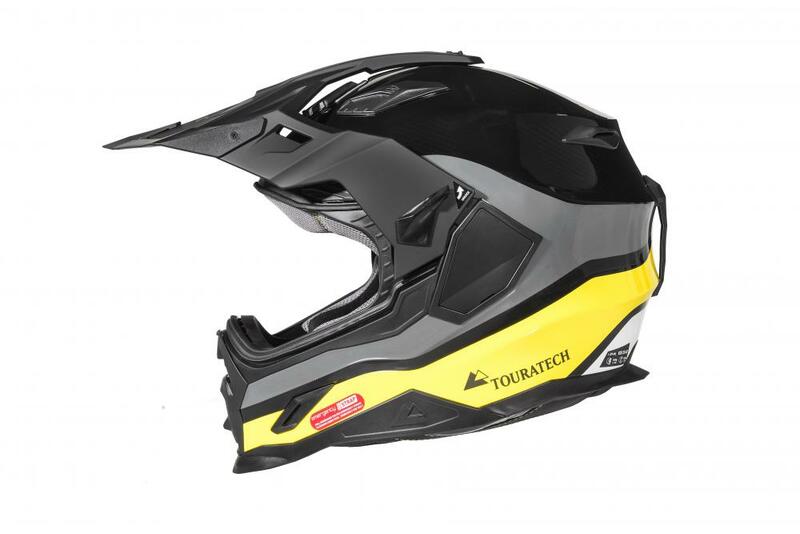 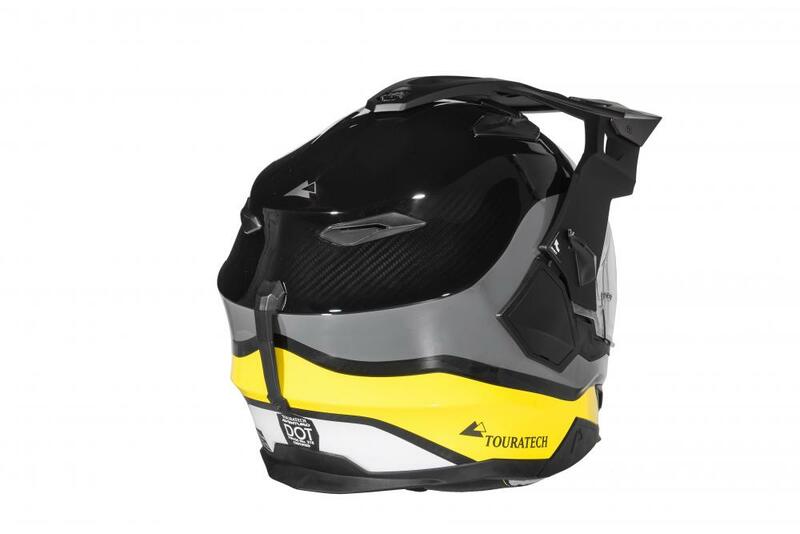 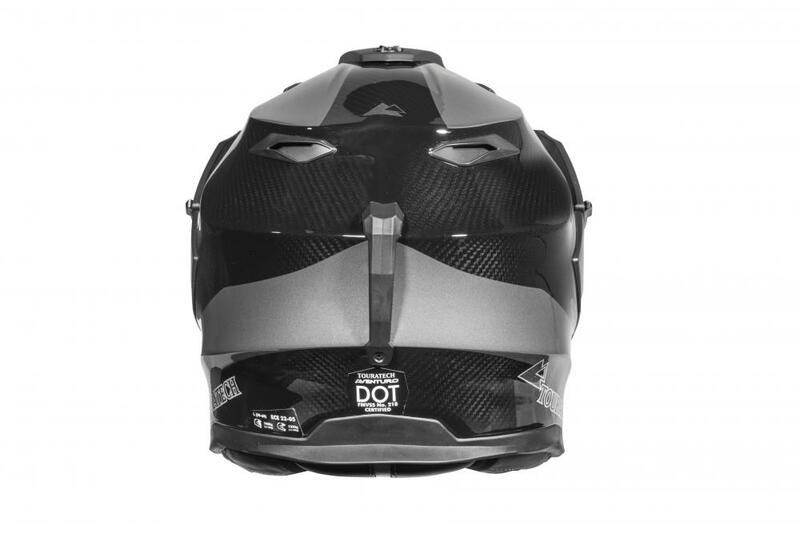 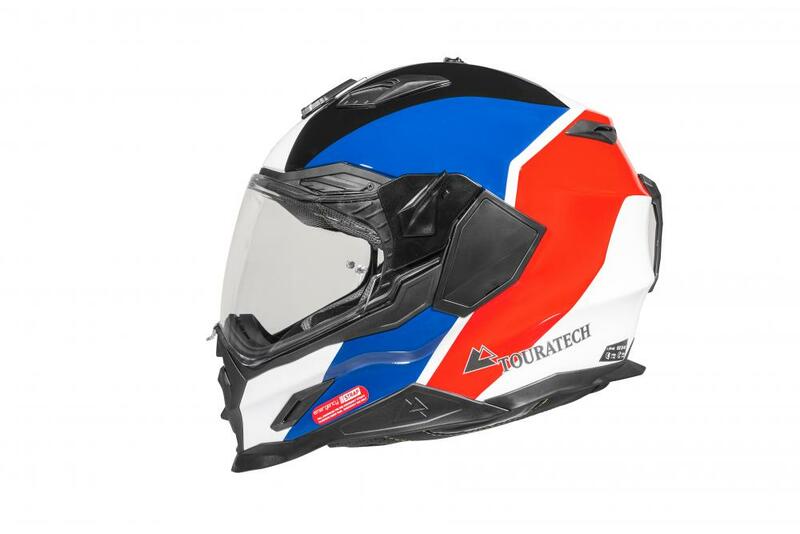 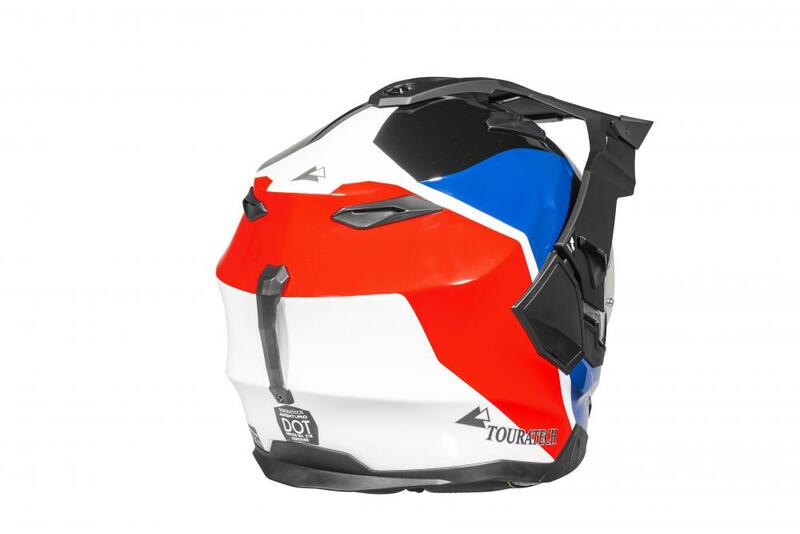 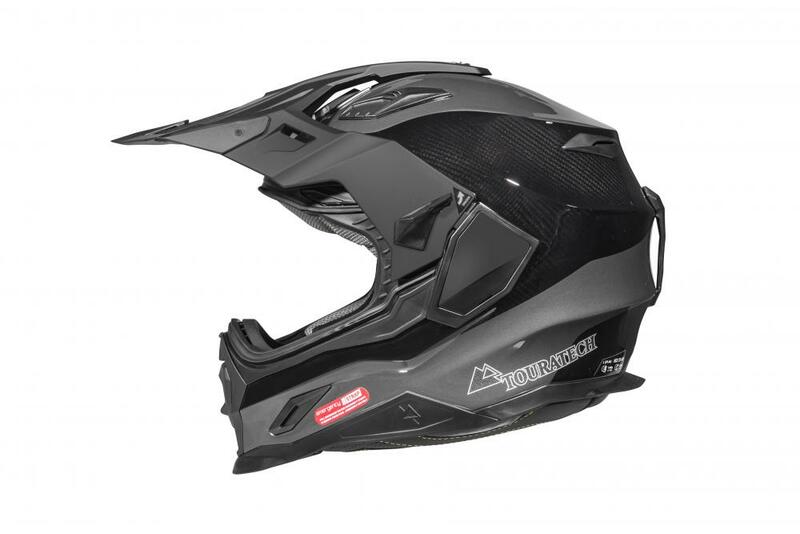 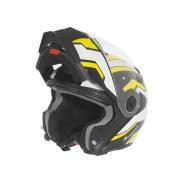 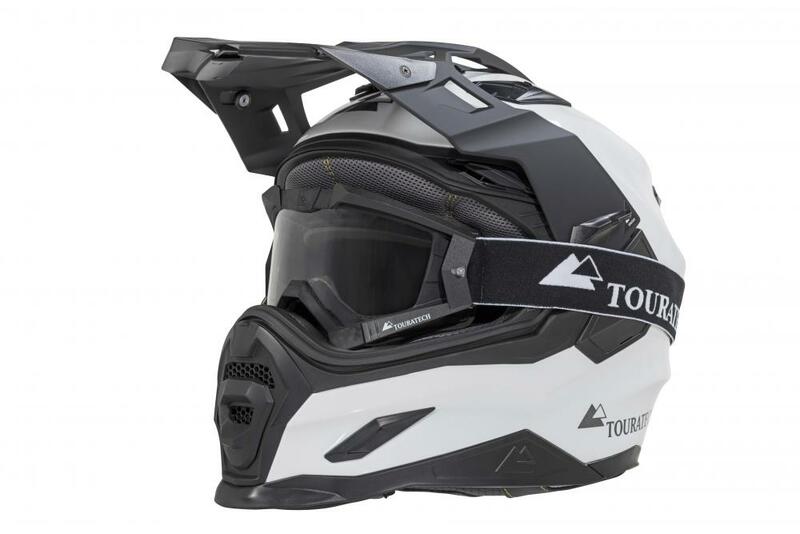 Touratech has updated this adventure motorcycle helmet and taken it to new levels with the Aventuro Carbon 2. 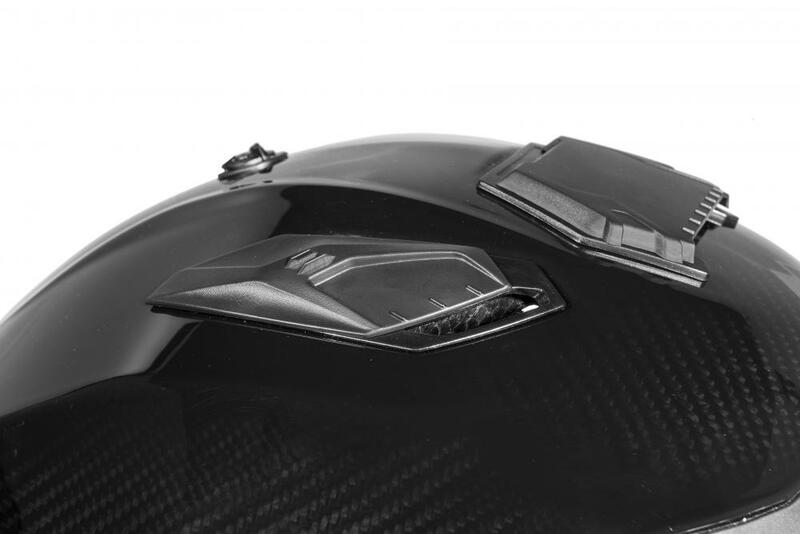 The Aventuro Carbon 2's peak has a more streamlined shape with ports that manage the airflow reducing turbulence. 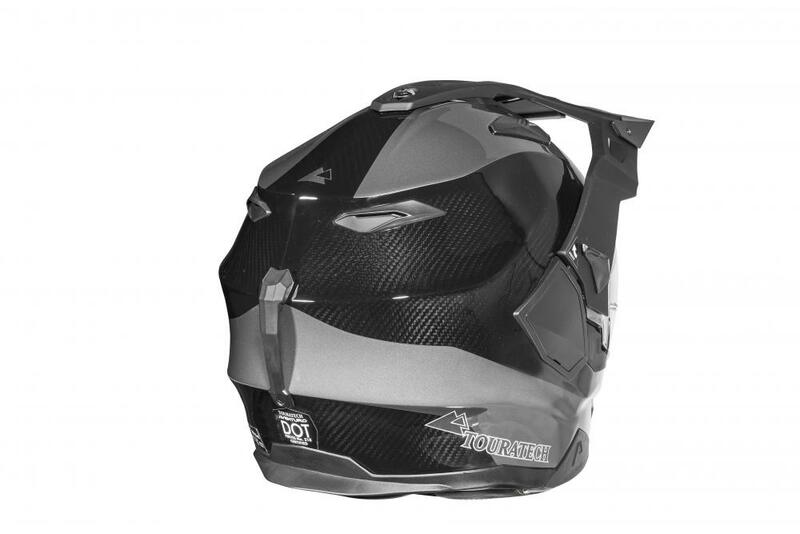 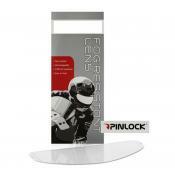 Over-sized cutouts allow wind to travel underneath the peak and then exit cleanly to the rear, minimizing drag. 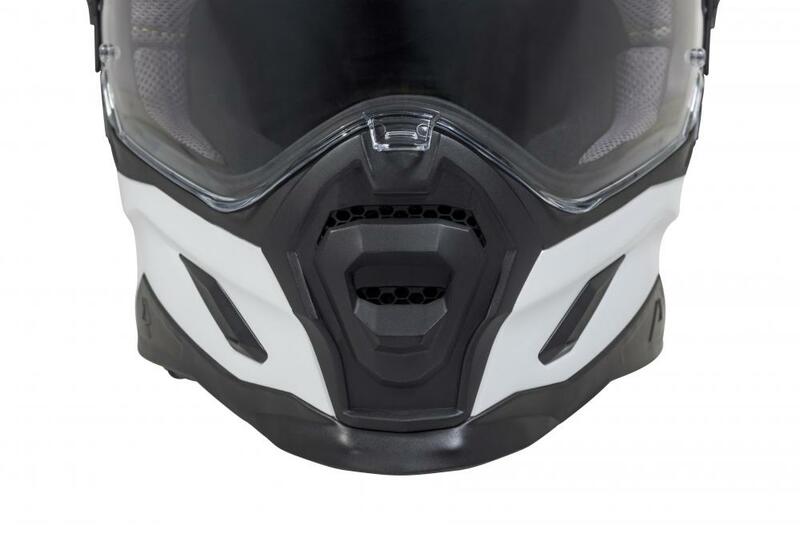 We’ve increased airflow by 40% over the prior model with larger vents and a new one right under the peak that features a cowling to scoop air in just like a muscle car from the 1970s. 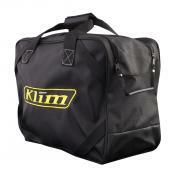 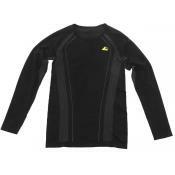 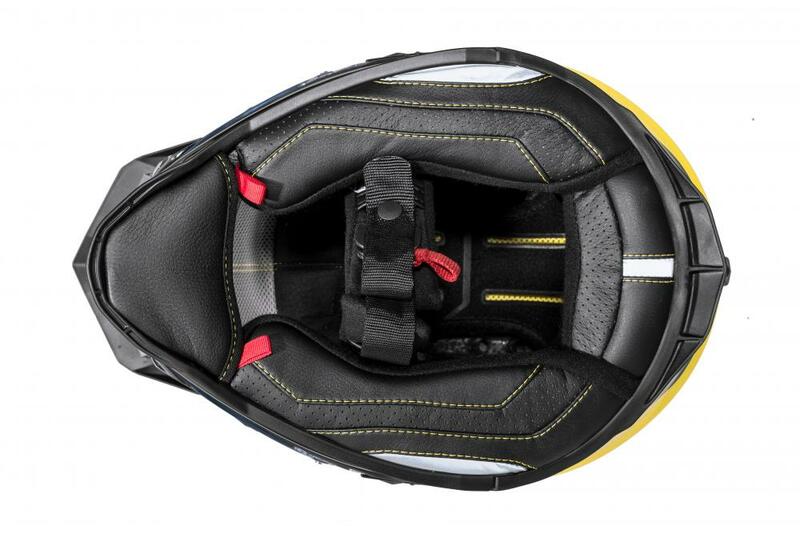 The result is increased comfort and reduced neck fatigue on even the longest adventures. 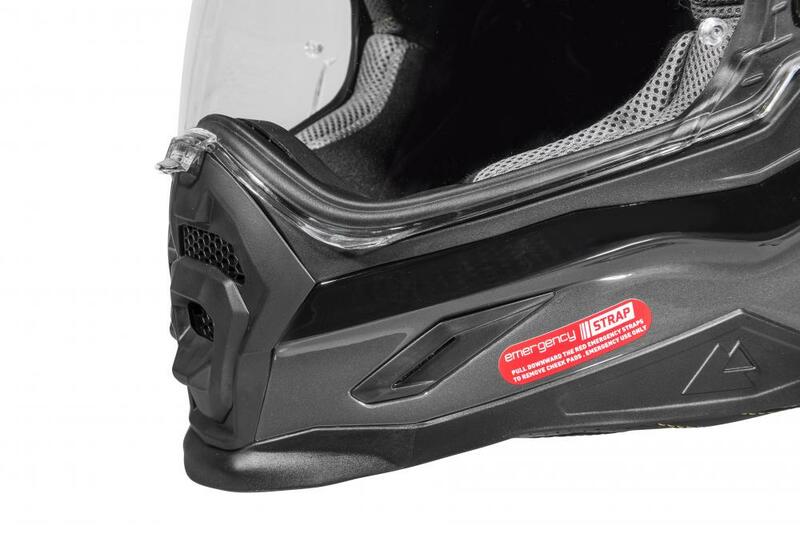 Many riders report the reduced air-grab effect makes it easier to turn their heads while enjoying the sights. 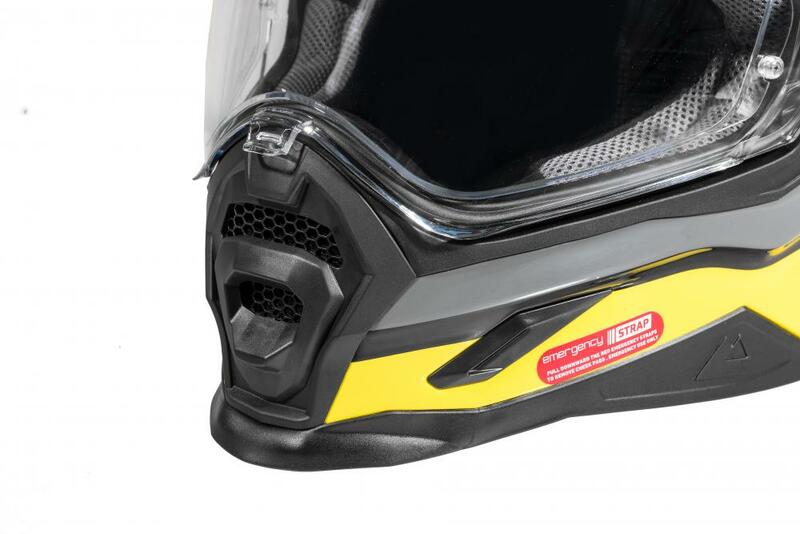 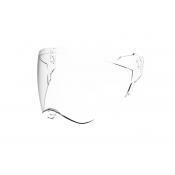 We’ve redesigned the chin vent to have more airflow and to be operated easily while wearing gloves. 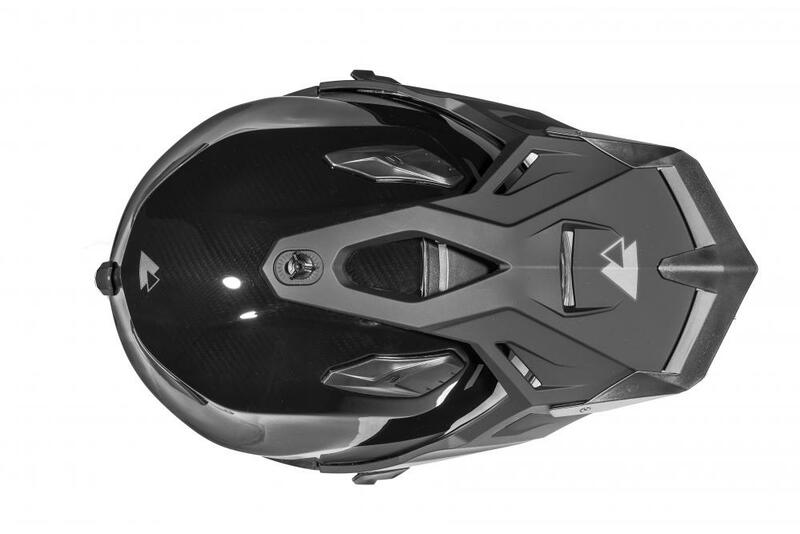 It also has an updated aesthetic design. 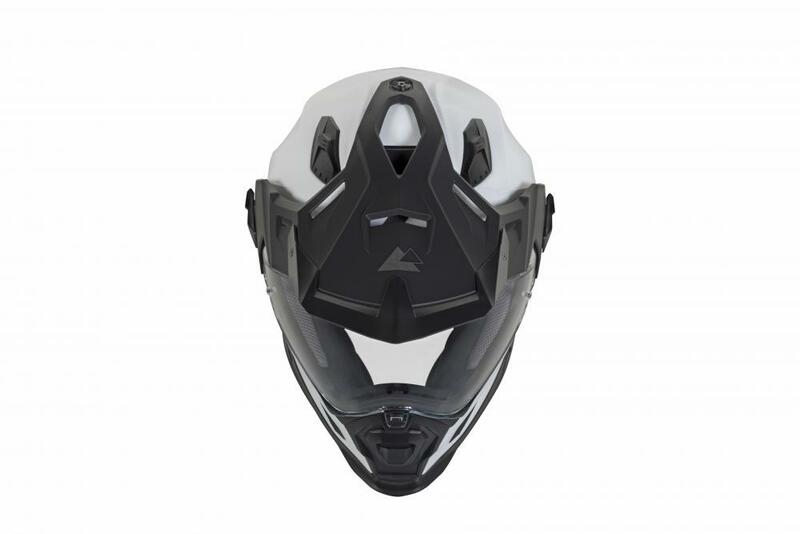 The peak is now angle-adjustable for just the right position to block the sun while maintaining visibility and providing protection from brushy trails or mother nature. 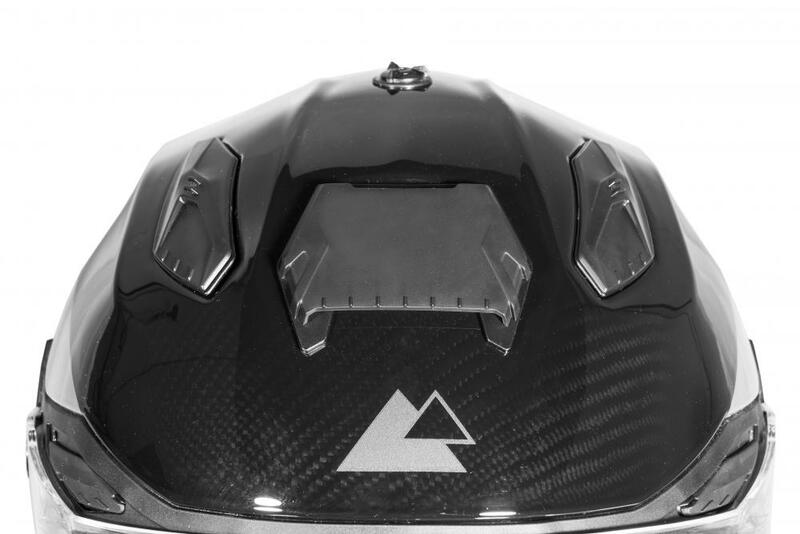 The integrated camera mount also changes angle with the adjustable peak. 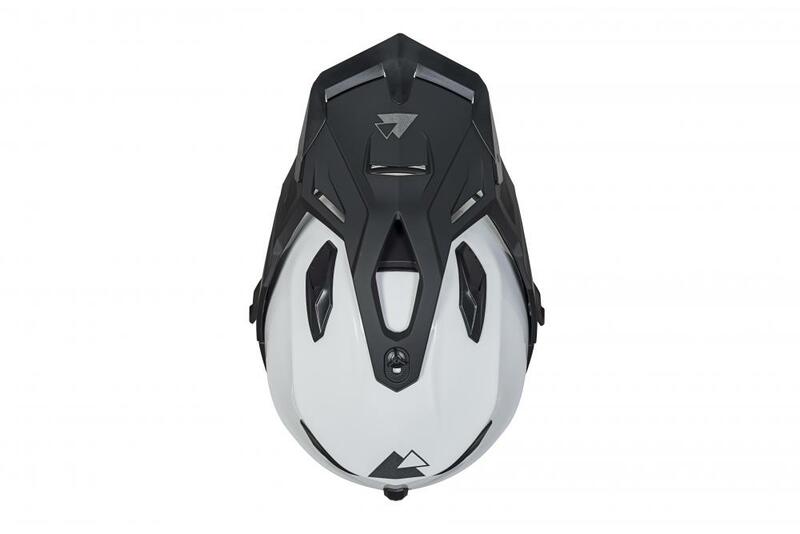 The peak is removable without tools so you can use this helmet in street mode. 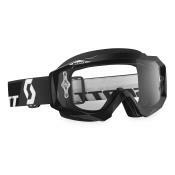 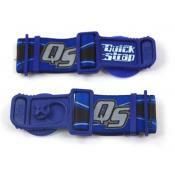 The shield is also removable if you want to run goggles for full dirt-mode. 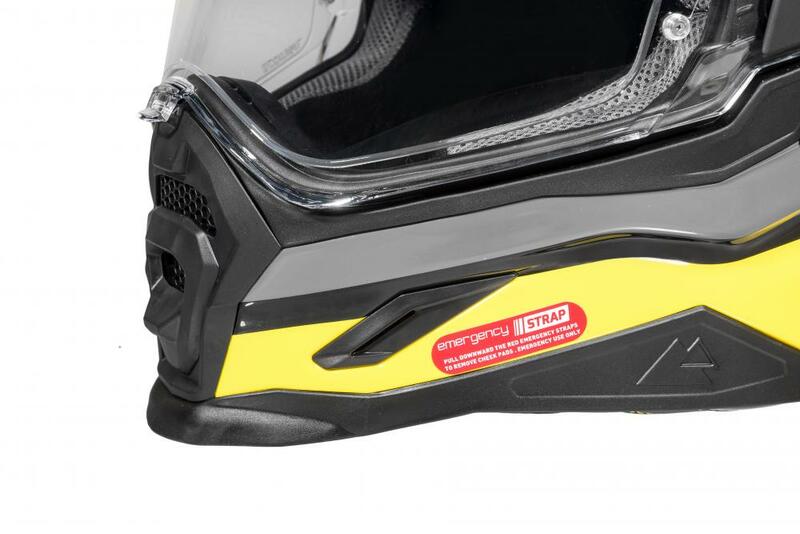 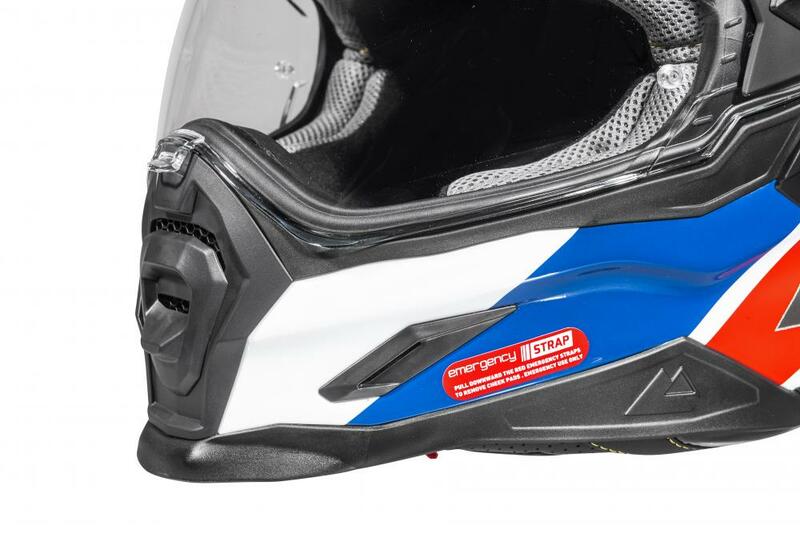 The back of the helmet even has a clip to keep the goggle strap located where you want it. 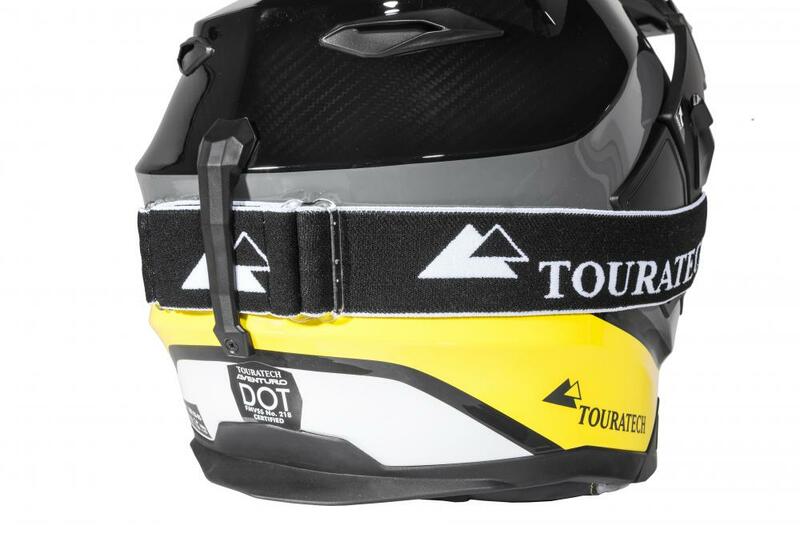 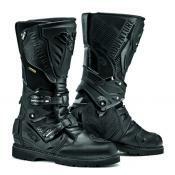 New high-durability synthetic leather material used at bottom of neck roll and on chin skirt for longer life. 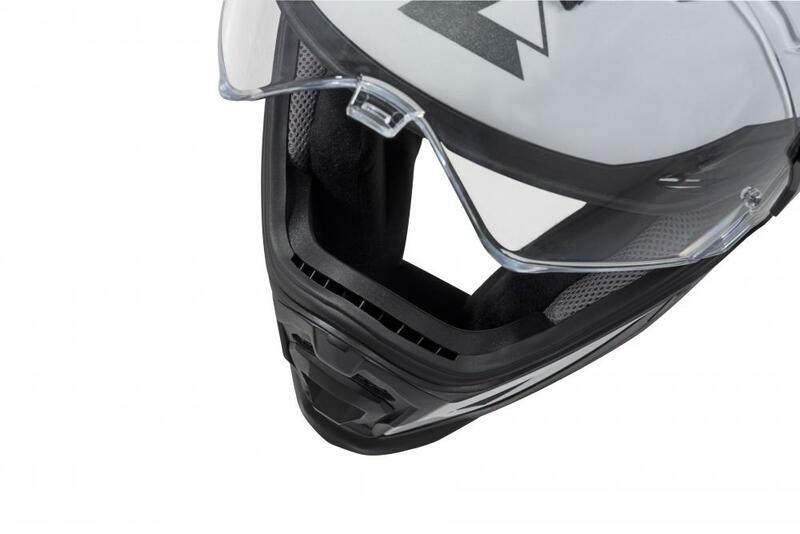 Center panel perforation designed to maximize liner breathability and featuring reflective panels for visibility in low light conditions. 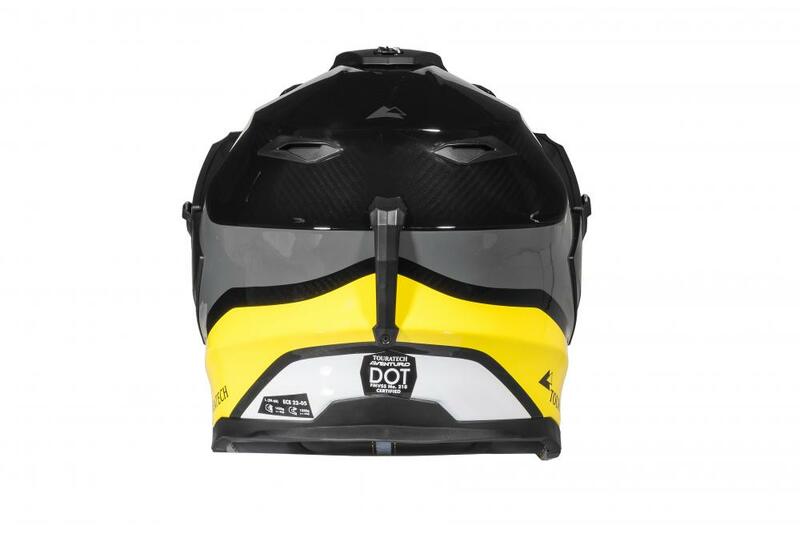 We’ve added a shell size, so the helmet now features a more precise fit and is available in 7 sizes XS - XXXL. 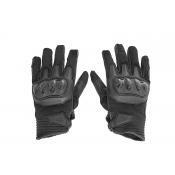 Click HERE to see the sizing chart.